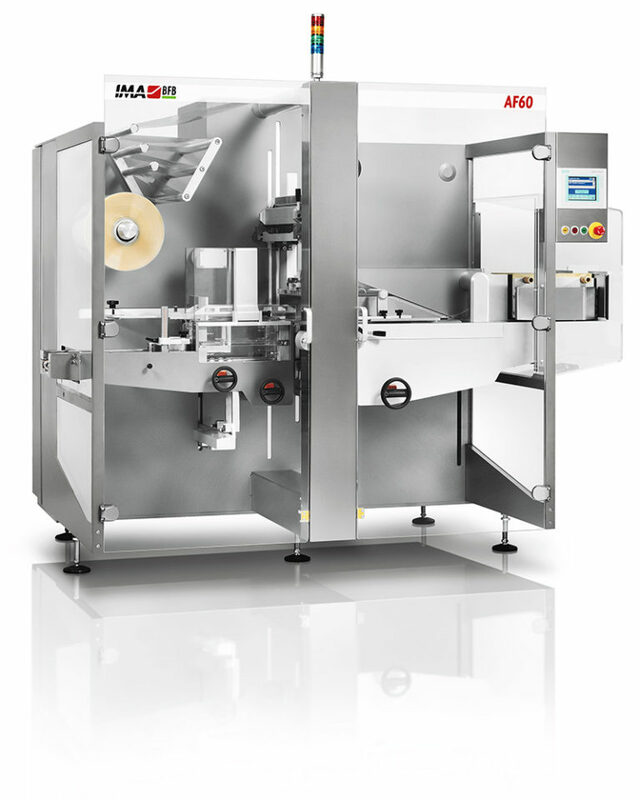 Equipped with a high-speed stacking unit capable of stacking up to 225 layers/min., the AF60 can also be set up with a carton tilting unit (AF60AM) capable of standing on edge as many as 400 cartons/min. Production speeds reaching 60 cycles/min. 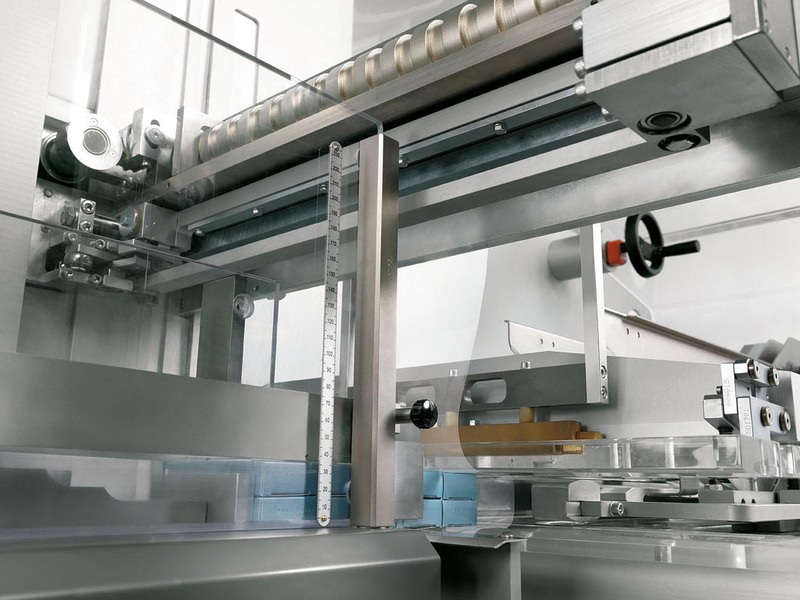 make it an ideal partner for any high-speed packaging line for cartons. Maximum accessibility to all components is possible due to the balcony design, so that cleaning and maintenance are facilitated. 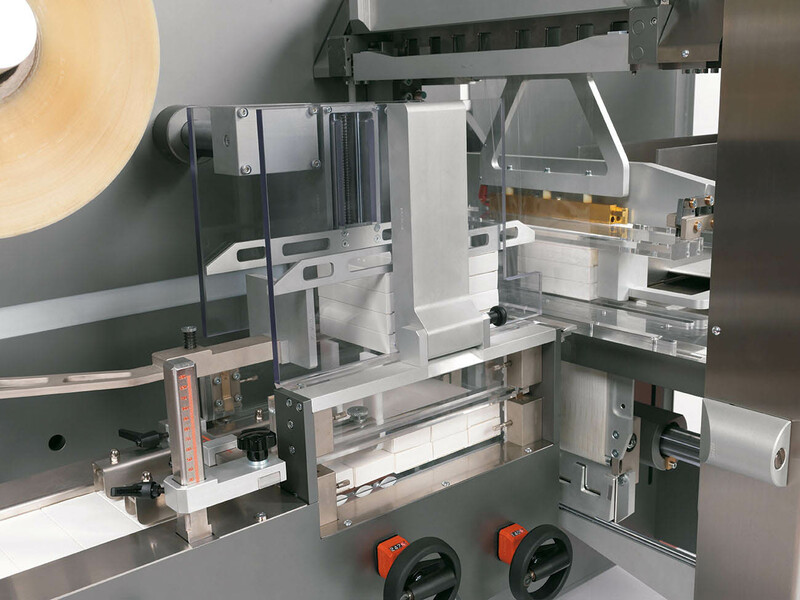 The machine’s main standard features include a scissor knife, film transport by pincers, transversal edge-sealing, driven movement of bottom and lateral film folders, and reciprocating lateral sealing plates. 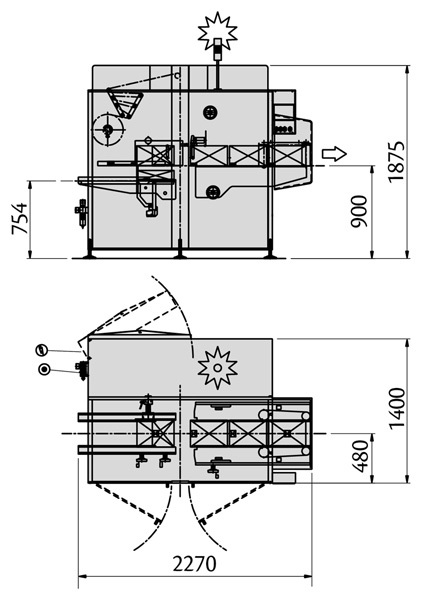 Suitable for Track and Trace purpose. 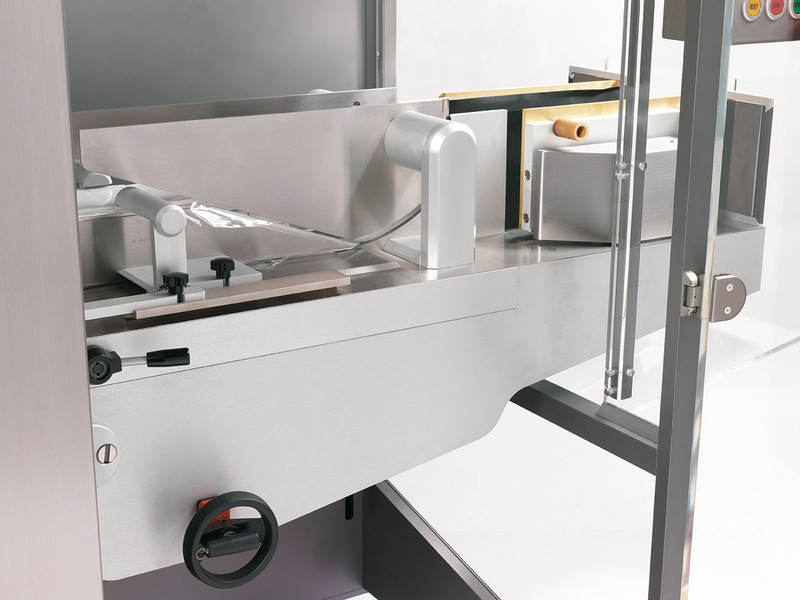 Ergonomic design with shaft featuring quick expansion lock device for rapid film reel change. 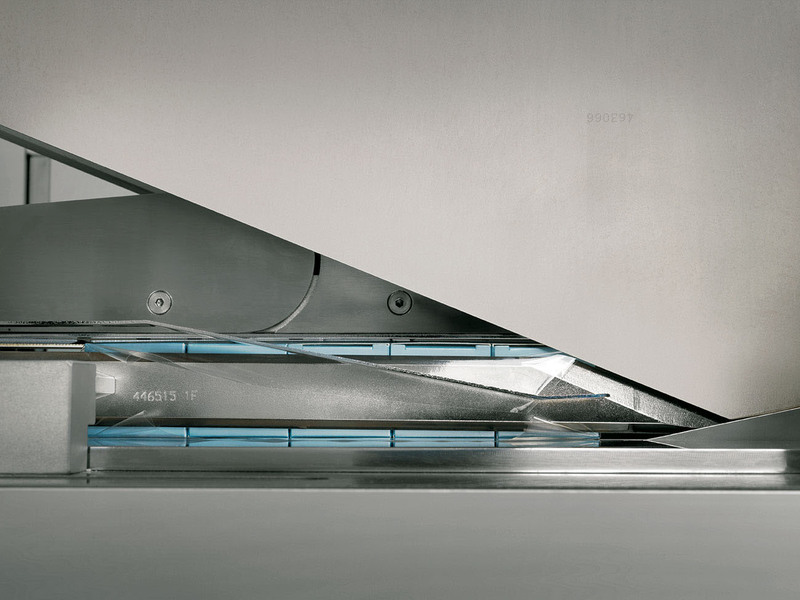 Optional bypass mode improves Balcony style concept, ideal for easy line clearance. 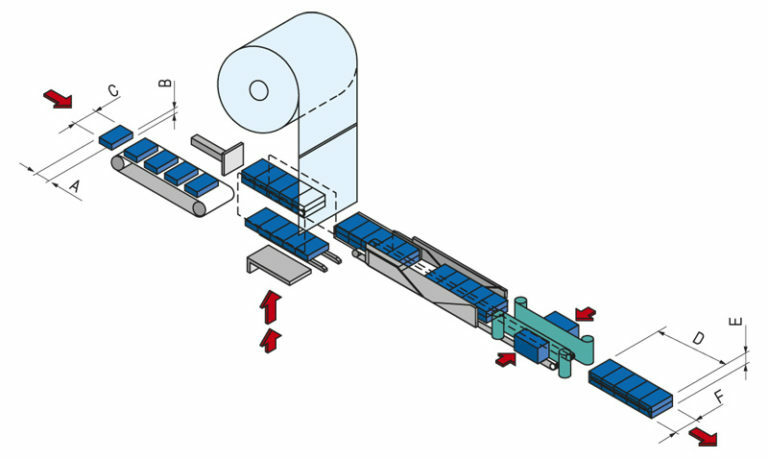 Product flow through the machine. 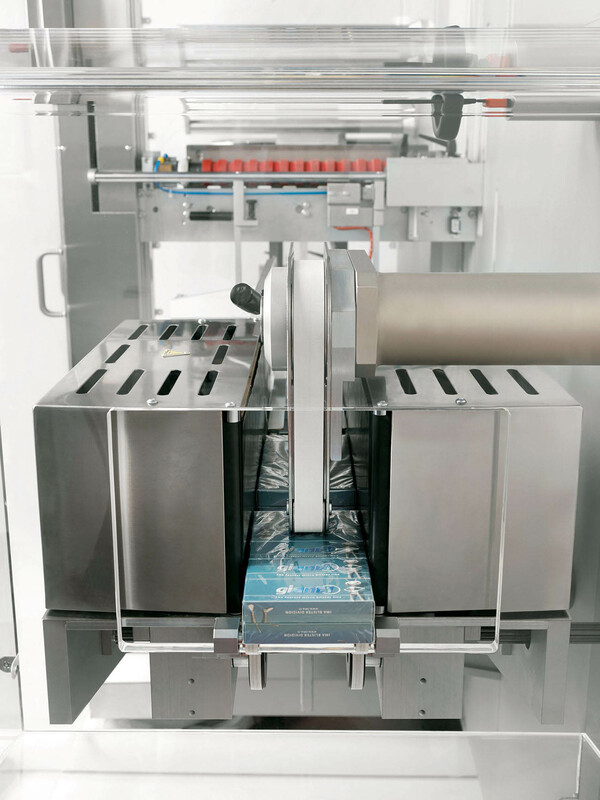 Further optional groups include automatic bundle discharge, servo-driven step-by-step exit system and lateral sealing belts on exit.